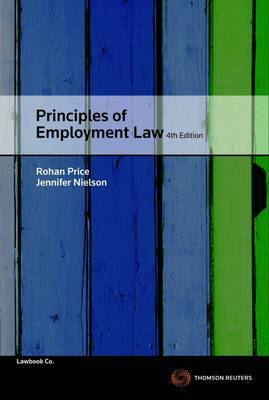 Principles of Employment Law, 4th Edition is an accessible text for students and practitioners who seek lucid explanation of key topics in this area including identifying employment relationships, the position of contractors and casual employees, duties of employment, enterprise agreements and awards, unfair dismissal and discrimination. This 4th edition contains new analysis of workplace safety and the changes brought forward by the Fair Work Act 2009 including the current approach to unfair dismissal, the provisions on adverse action, modern awards and National Employment Standards. Whether used to develop an understanding of the law or as a source of reference, Principles of Employment Law is a reliable, up-to-date and timely exposition of the law which covers both the applicable rules and their contexts in policy and politics.